Vegalandscape is a professional landscape company with expertise in design, construction, and maintenance. MDM SCAPES Inc was founded by Frankie Mata at a young age and has become one of the leading masonry and landscape companies in Orange County. MDM is a full, in house landscape design team that specializes in hardscape design as well as plant selection. Priding ourselves in exceptional customer service and quality craftsmanship, our full service design team brings fresh ideas and an attention to detail that is necessary for your next project. Our founder and owner, Frankie Mata, hold a ICPI certification, is fully licensed, bonded and insured. We also are able to provide full to scale plans for city and HOA approval. Please contact us today to see how we can help you on your next project! A landscape design/build company with licensed Landscape Architect on staff. Licensed landscape contractors, pool and masonry contractors. 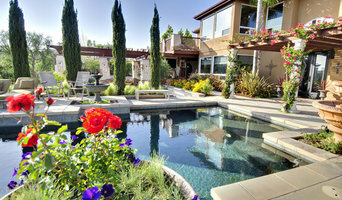 Backyard Golf & Games Inc.
What does an Anaheim landscape contractor do? Landscaping contractors execute lawn, garden and hardscaping plans that have been drawn up by an architect or designer. They may also provide design services on their own. After the everything has been installed, landscape companies can make adjustments, maintain plantings, take care of weeds and pests, and perform other tasks to keep the scheme looking its best. A licensed California landscaper should have detailed knowledge of Anaheim, CA weather and climate trends and conditions, and can choose plants and materials that are well suited to the area. 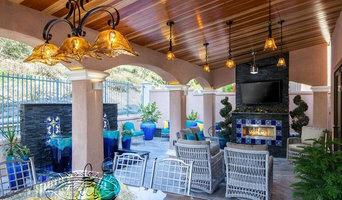 Residential landscape companies in Anaheim, CA also handle many of the same general duties as builders, including arranging for construction permits, hiring subcontractors and making sure that designs comply with California building codes. 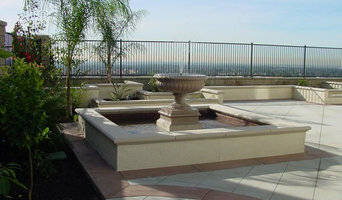 Find Anaheim landscaping services on Houzz. 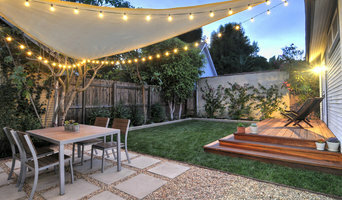 Narrow your search in the Professionals section of the website to Anaheim, CA landscape contractors. You may also look through photos of California landscapes to find one you like, then contact the landscaping company in Anaheim, CA who worked on it.